The Mitral Foundation has partnered with BioDigital, Inc. to develop realistic, interactive 3D computer generated models that will serve as simulators of multiple mitral valve lesions and disease etiologies. 3D interactive simulation demonstrating mitral valve repair of a mitral valve with Barlow's disease. In addition to digital mitral valve models, the Mitral Foundation organizes wet labs and is working with LifeLike BioTissue, Inc. to create realistic synthetic valves for training. These models will match the etiologies generated for the BioDigital, Inc. project to allow surgeons to learn the techniques on their computer and then practice on a real valve. 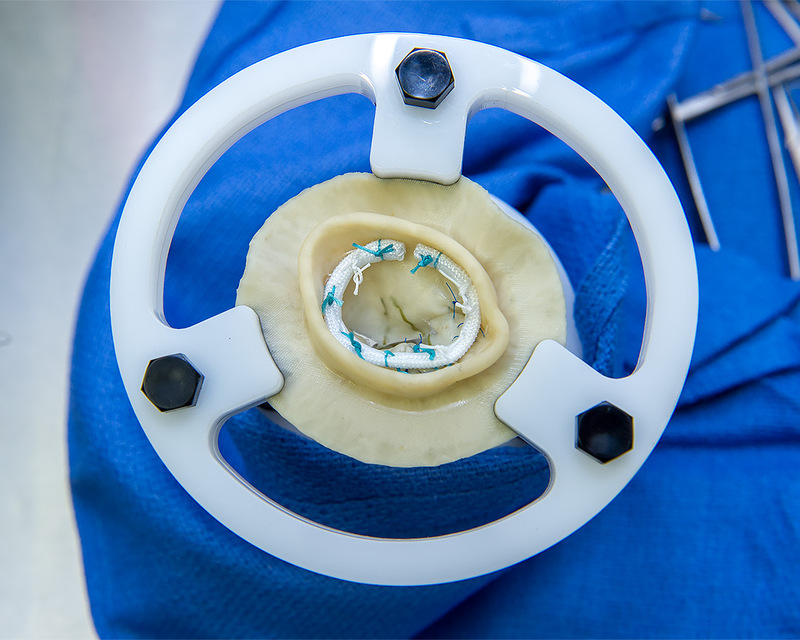 An example of a synthetic mitral valve used for surgical training.